The AR-10B magazine is based on the magazine of the famed M-14 rifle. This magazine was adopted during the period of the “Assault Weapons Ban”, during which new Waffle magazines couldn’t be legally produced. 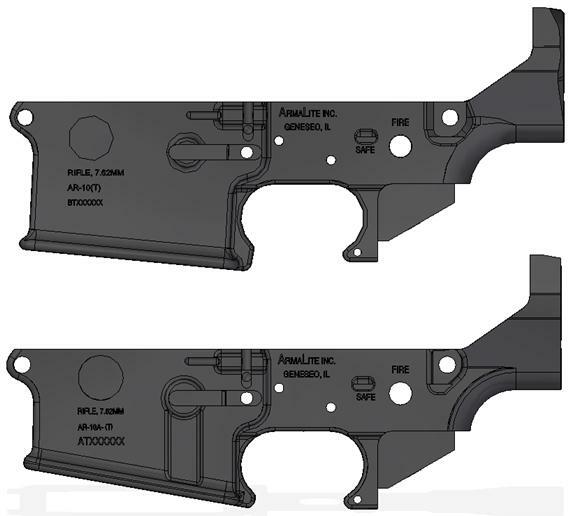 The AR-10B magazine has proven to be as supremely successful in the AR-10B as its predecessor was in the M-14, and ArmaLite will continue to offer it. We have tested, we recommend, and we ship polymer Magpul PMAG® 20LR magazines with our AR-10As. 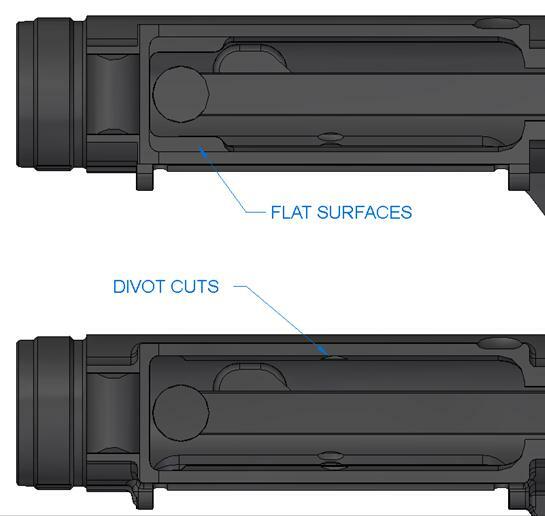 Other similar derivative magazines such as the KAC, M110, and DPMS / Remington 19 round magazines may fit and may function, but we have not tested them so we can’t assess their reliability. You can purchase extra PMAG®s from our website. 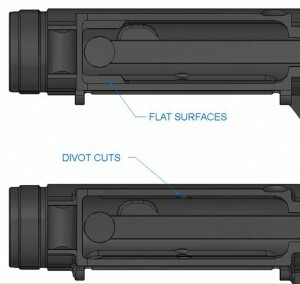 Physical differences between the “Waffle magazine and the M-14 style magazine necessitate differences in some components used in AR-10As as compared to similar components in the AR-10Bs. 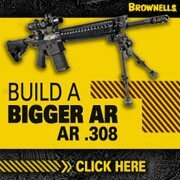 Some components of our AR-10A firearms are unique to that family. For example, the AR-10A Bolt Stop, Magazine Catch, Upper Receiver, and Lower Receiver are not the same as those in our AR-10Bs. This Tech Note will explain the physical differences among those components. If you need parts for your AR-10A, you may want to contact us to assure that you are purchasing the correct parts. As you can see, the M15 and AR-10A Bolt Stops are similar in shape. However, the AR-10A Bolt Stops are clearly marked AR-10A. And, if you look closely at the upper left portion of those two parts, you’ll see significant visual differences between the two. The AR-10B Bolt Stop is very different in shape than the other two. Note the relatively large flat angled surface near the top of the AR-10B Bolt Stop. The M15 and AR-10B Magazine Catches are similar in design. However, the magazine catch boss on the M15 Magazine Catch has a chamfer on its lower side (shown in red above), whereas the AR-10B boss lacks that chamfer. The AR-10A Magazine Catch is easy to differentiate from the other two. Note that the boss on the right end of the AR-10A Magazine Catch is rounded on its outer end. 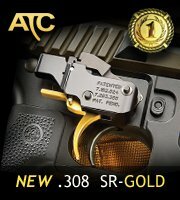 © 2011 ArmaLite, Inc. All rights reserved.